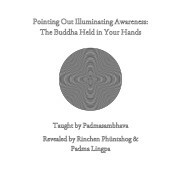 You also ever wonder what is inside Padmasambhava’s mind? When I say Padmasambhava, I’m referring to the somewhat legendary, but at least slightly real, meditation master from the kingdom of Oddiyana who visited Tibet during the later half of the 8th century. He appeared as an eight-year old child born inside a lotus flower as the King Indrabhuti was sailing around a lake. Inwardly, I tend to think of Padmasambhava as the greatest enlightened time-traveling dancing musical poet thunderbolt-throwing sorcerer of all time and space. So, if like me, you’ve ever wondered what was on his mind, legend or not, maybe you’ve been turned on to his treasures. 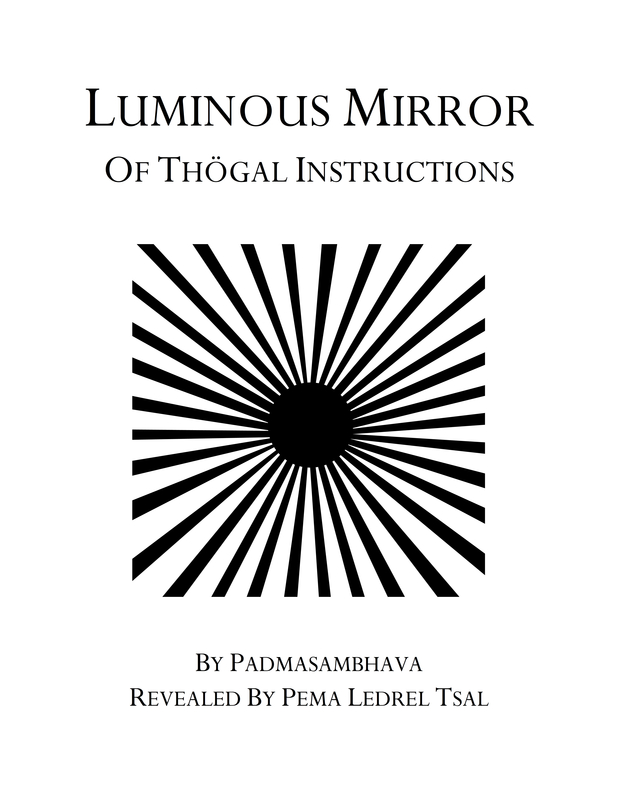 Without going into boring or exciting details, Padmasambhava and this thoroughly wonderful Tibetan Queen Yeshe Tsogyal were said to have hidden infinite treasures throughout all of Tibet, especially in the minds of these treasure discovering students of his that had time-travelingesque potential. 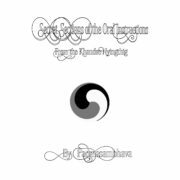 Of all these treasures, which essentially contain all kinds of strange and beautiful methods to attain enlightenment and freedom from suffering, there are a number of common themes. One of these is the dakini. 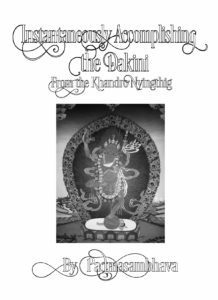 If you’ve been wandering around this site before, you might have noticed this dakini theme popping up here or there. 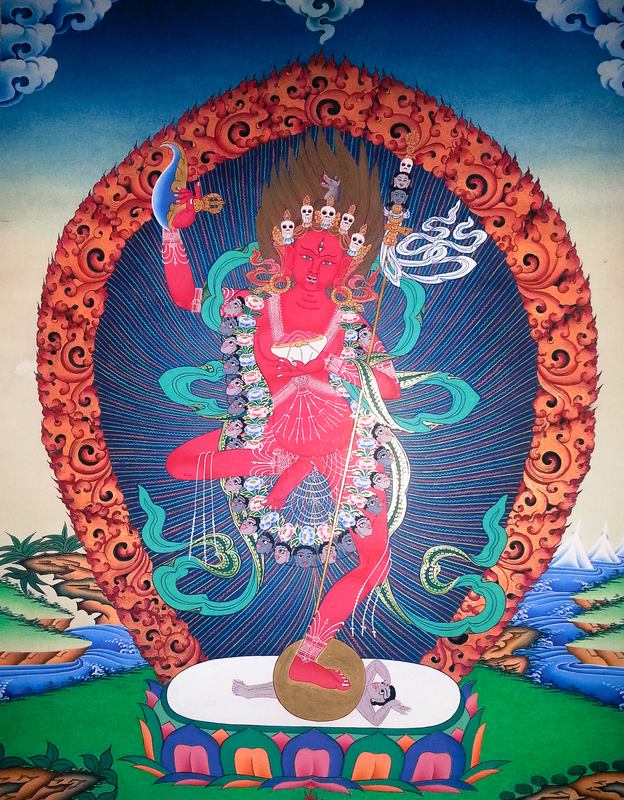 So again, in this context, a dakini ultimately is a sky dancer, a space traveler that flies freely throughout the infinite expanse of reality, the nature of our minds, the home of the universe. Apparently, there is a hidden dakini within all of us. How do we unlock these all-powerful awesome dakinis? Well there are these things called sadhanas, or methods of accomplishment. There are thousands of dakini sadhanas out there in Tibetan, Sanskrit, and increasingly in English and other languages throughout the world. Of all these dakini sadhanas, it’s not really proper to say what is a good sadhana and what is a bad sadhana. Just like music, different people (and other common beings like dogs, cats, dragons, etc) gravitate to different taste preferences. Still, sometimes there are songs and musicians (like Jimi Hendrix or Nina Simone) that just have this undeniable haunting power. In my silly mind, Padmasambhava is kind of like the Jimi Hendrix of all the Buddhist teachers of the past, present, and future. His treasure cycles are like those wild albums that rolled out of the sixties and still delightfully play sometimes through our turntables, magic devices, and hip hop samples. So if we were to approach Padmasambhava’s treasures as if they were like Jimi Hendrix’s albums, what is Padmasambhava’s Electric Ladyland? 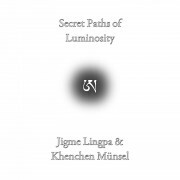 It’s just my opinion, but in my silly mind, I’d have to say that I feel that Padmasambhava’s Electric Ladyland could not possibly be other than the Khandro Nyingthig, Heart Bindu of the Dakinis, revealed in the 14th century by Padma Ledrel Tsal, based on the ever wonderful Heart Blood of All the Dakinis, Secret Tantra of the Blazing Sun of the Luminous Expanse of the Primordial Buddha Mother Samantabhadri. 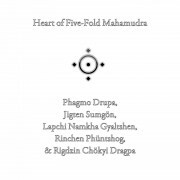 (As a side note, just as Jimi Hendrix derived his music from the spiritual source of the electric church, we might surmise that the heart of Padmasambhava’s treasures were derived from this tantra of the Primordial Mother. Stay tuned for much much more on this secret mother tantra here on Buddha Visions.) So if the Khandro Nyingthig is Electric Ladyland, the real question is what is Padmasambhava’s Voodoo Child or Voodoo Chile (Slight Return)? If I was trapped on a deserted island in the middle of an post-apocalyptic hurricane (can you tell I’m listening to Jimi as I write this? ;) and I only had one dakini sadhana to practice just one single time, without a doubt I would ask for the cycle of dakini sadhanas buried in the treasure of the Khandro Nyingthig referred to as the cycle of Instantaneously Accomplishing the Dakini. 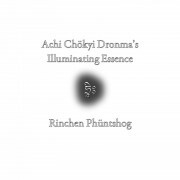 These practices, some short, some longer, (like the abbreviated Voodoo Child or more extensive Voodoo Chile Slight Return) are not just sadhanas that over time unlock the hidden sky dancer within us. 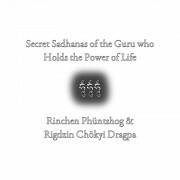 When you encounter these sadhanas with a mind of faith based on experiential realization, in that same moment, you can be nothing but the infinite dakini of all reality. 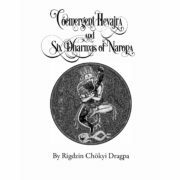 Also, there is a third new publication entitled Coemergent Hevajra and the Six Dharmas of Naropa. 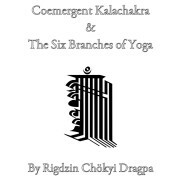 This is a collection of two very important texts by the 17th century meditation master Rigdzin Chökyi Dragpa. 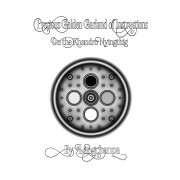 The first is a complete sadhana for the Coemergent form of Hevajra that includes all the traditional elements of generation stage practice, like the torma offerings, ganachakra, and so forth. 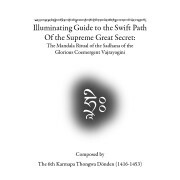 The second text is a complete and concise commentary on the famous Six Dharmas of Naropa. This text begins with the preliminary trainings on the channels, winds, and bindus. 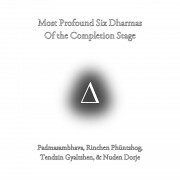 Then, there are the main practices of the Six Dharmas of Naropa. These consist of the four root dharmas and the two branch dharmas. The four root dharmas are the practices of inner fire (tummo), luminosity (ösal), dreams (milam), and the illusory body (gyulü). 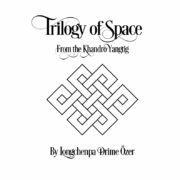 The two branch dharmas are that of transference (phowa) and the in-between state (bardo). Inner fire practice utilizes the navel chakra, taking our breath and sexual energy onto the path. 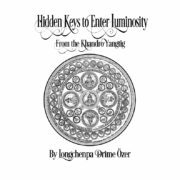 Luminosity practice utilizes the heart chakra, taking the state of deep sleep onto the path. The practice of dreams or dream yoga utilizes the throat chakra, taking the state of dreaming onto the path. 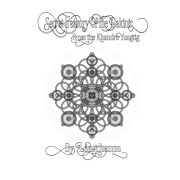 Illusory body practice utilizes the crown chakra, taking the waking state onto the path. The practice of transference allows one to transform the time of death into enlightenment. 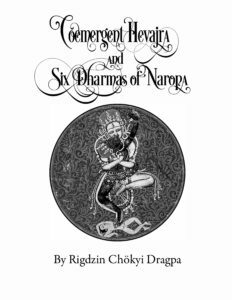 In this Drigung Kagyü Six Dharmas of Naropa tradition, there are three unique types of transference presented to attain enlightenment in the dharmakaya, sambhogakaya, and nirmanakaya. This is different than the more common traditions of transference. 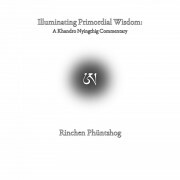 Finally, there are the bardo instructions to help one navigate and attain enlightenment in the state after death if necessary. Together the Six Dharmas of Naropa present a swift path that allows one to practice throughout all states of reality to attain enlightenment. 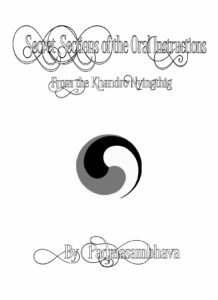 These profound instructions include both the Tibetan and English translation to facilitate transmission. It feels auspicious to launch these three latest publications on this fine dakini day deep in the ripening days of late summer. Just as Jimi Hendrix became one of the greatest guitar sorcerers of all time handing down a Voodoo Child legacy more powerful than death that continues to bear magic fruits in our ears, may the teachings of the greatest sorcerer of all reality, master Padmasambhava, continue to ripen and grow throughout the universe and may the ripening thunderbolts of his mind always pervade our own. In particular, may the teachings of the Khandro Nyingthig, Heart Bindu of All the Dakinis and it’s root tantra, the Heart Blood of All the Dakinis, Secret Tantra of the Blazing Sun of the Luminous Expanse of the Primordial Buddha Mother Samantabhadri, roar throughout the universe like an intergalactic hurricane forever drowning the sufferings, ignorance, and obscurations of all beings so that we all become insatiably filled with the great bliss of the infinite primordial wisdom thunderstorm mandala of the dakinis, joyously dancing through our bodies, speech, and minds.